Rochester won over Scranton/WB, 13-3. Norfolk lost to the Bulls 0-1. Jump ball. 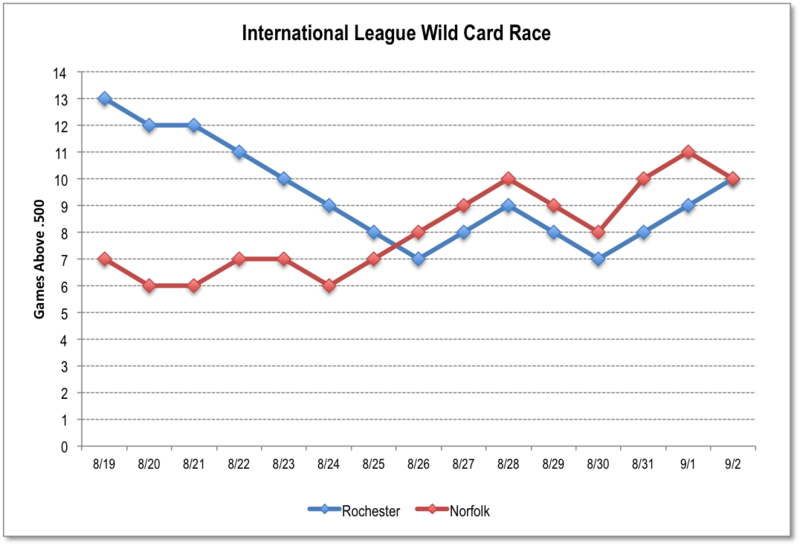 Except that Rochester had a winning record over Norfolk. 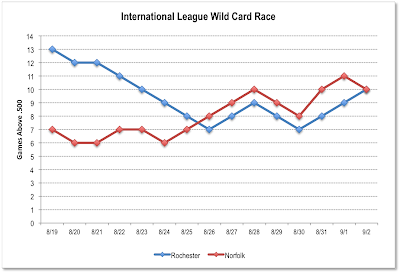 Rochester to the playoffs against Pawtucket. Note: the Rochester win featured a triple play started by former Bull Ray Olmedo, playing 3B: 5-4-3.